IVR (Interactive Voice Response) Technology For Medication Reminders From Database Systems Corp. Database Systems Corp. specializes in the development of computer phone system applications and services. CARE (Call Reassurance) is a community calling program that checks to ensure that seniors and home alone children are OK. This same program is used to remind seniors (and others) to take their medications. These community calling programs incorporate DSC's award winning interactive voice response (IVR) solution that are programmed into these calling programs. IVR technology is used throughout DSC applications including our medication reminder phone systems and services. Since 1978, DSC has developed computer software applications and recently has developed call center software and outsourced phone services using IVR and voice broadcast technology. Medication reminders are specialized reminder systems or services that send reminder to individuals. The "take your pills" message can be reminders that help them take their medications on time while reminding them how much and what type of medication to take. Pre-recorded phone messages can be delivered to both an individual answering the call as well as to the phone's answer machine. The message played to the individual who answers this call can be different from the one that is left on the answering machine. Simple to complex phone menus can be created using our IVR technology that allow the individual to make selections from the phone keypad. Calls can be simply a message or the call can be transferred to a friend or relative (or to a medical facility). Contact DSC to learn more about our medication reminder services and phone systems. DSC provides medication reminder applications that incorporate and utilize interactive voice response technology. This application is provided within both IVR systems and services which are used by many community and commercial organizations. DSC provides several different types of IVR solutions today. DSC has designed and created two series of interactive voice response systems - the WIZARD analog IVR system and the PACER digital IVR system. These systems were developed to provide our clients with state-of-the-art technology in their purchased systems. The PACER digital IVR systems are also used exclusively at our own IVR call center for processing IVR applications. The WIZARD IVR system supports 4 to 48 analog phone lines. The PACER IVR system supports 24 to 480 digital phone lines. These IVR systems can be networked to support a far greater number of digital lines. Database Systems Corp. maintains a secure data center where we provide IVR solutions for our clients. Using our own IVR phone systems and software, DSC is ideally positioned to provide a comprehensive and affordable IVR solution to virtually any size organization. Our hosted IVR service processes incoming 800 number phone calls by providing callers with a menu of selection items from which to choose. Caller requests can be handled automatically by our phone service or the calls can be routed to your own representatives. Interactive voice response applications are developed inhouse by our experienced IVR development staff. These applications can be provided with our purchased systems or on our outsourced call center. DSC provides phone services including IVR outsourcing and voice broadcasting service at our own managed call centers. These centers provide secure and redundant enviroments for the maximum protection of our outsourcing clients. From small calling campaigns to projects that require broadcasting millions of calls, our call outsourcing center can do the job! For a listing of some of our applications and clients, please visit our phone applications web page. DSC markets a telephone reassurance program called CARE (Call Reassurance) that utilizes our IVR technology. DSC has developed a comprehensive IVR software library that can be called from most modern computer languages. Our interactive voice response software uses pre-recorded voice prompts and menus to present information and selection options to callers. Touch-tone telephone keypad entries are gathered from the caller to collect information and to provide navigation through simple to complex IVR menu structures. DSC's IVR software provides information back to the caller in the form recorded messages or data converted using text to speech. The IVR can also route the caller to an outside phone number. Our experienced staff of IVR developers can analyse your phone application and develop a calling campaign that meets your objectives. Your unique calling answering campaign does not have to conform to a static IVR solution. DSC's interactive voice response service is provided and customized by our professional programming staff. This hosted IVR service will process inbound phone calls according to your business requirements. 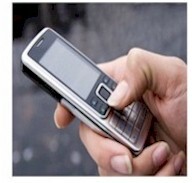 DSC can analyse your phone needs and design it to meet your requirements. Our IVR application will answer your calls according to the rules dictated by your business. Contact DSC to learn more about our IVR technology products and services. CARE� (Call Reassurance�) and eCARE� are Trademark names registered to Database Systems Corp. Copyright � 1998 - 2019 Database Systems Corp. All rights reserved..